Atlantic Outdoor RugAtlantic Outdoor Rug, Fog alt="Atlantic Outdoor Rug, Fog"
Print Versatile, subdued, and sophisticated, this is everything we want in a rug. The fact that it’s made of weather-resistant material (and can work indoors or out) makes us love it even more. The tonal variations are produced by dyeing yarns and weaving them together to capture beautiful striations. The result? A nuanced neutral you can add almost anywhere. Can be used indoors or out. For best results, vacuum regularly and spot clean when needed. Most rugs ship via FedEx Ground and arrive within 5-7 business days of order receipt. 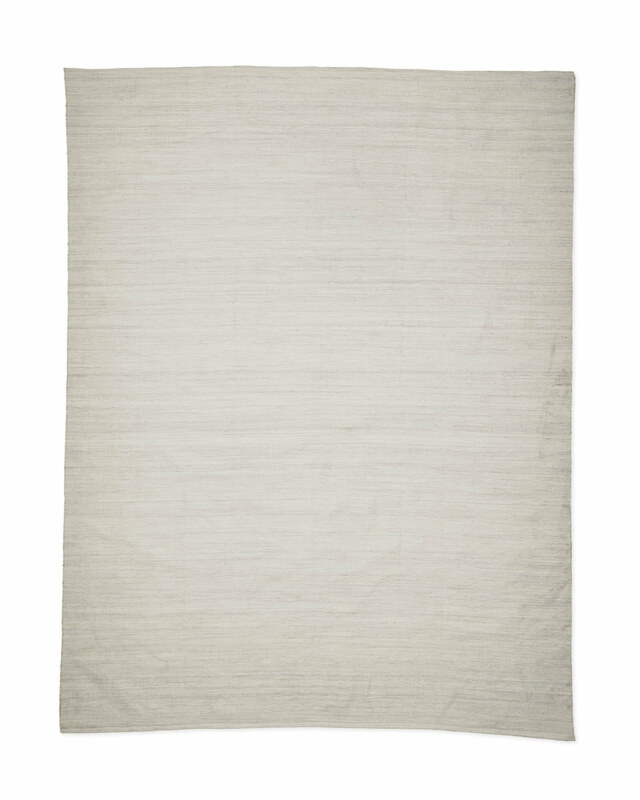 This rug sized 9' x 12' or larger ships via White Glove Delivery and arrives within 2-4 weeks of order receipt.